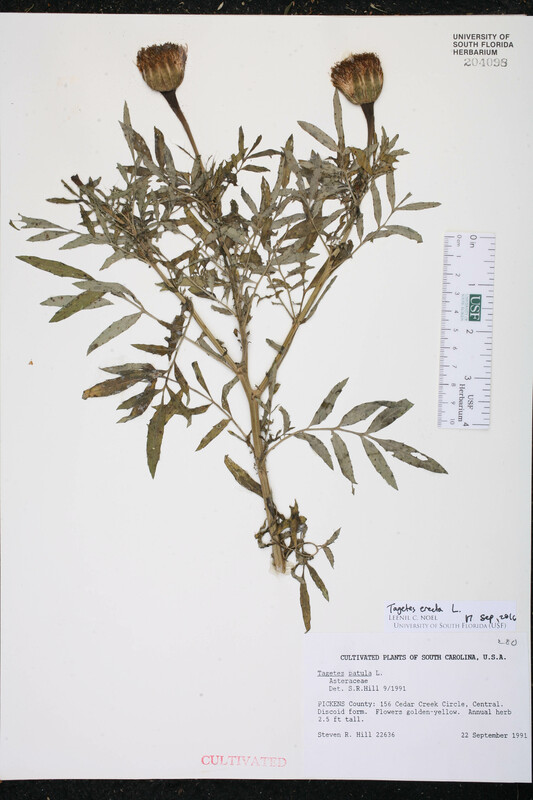 Citation TAGETES ERECTA Linnaeus, Sp. Pl. 887. 1753. 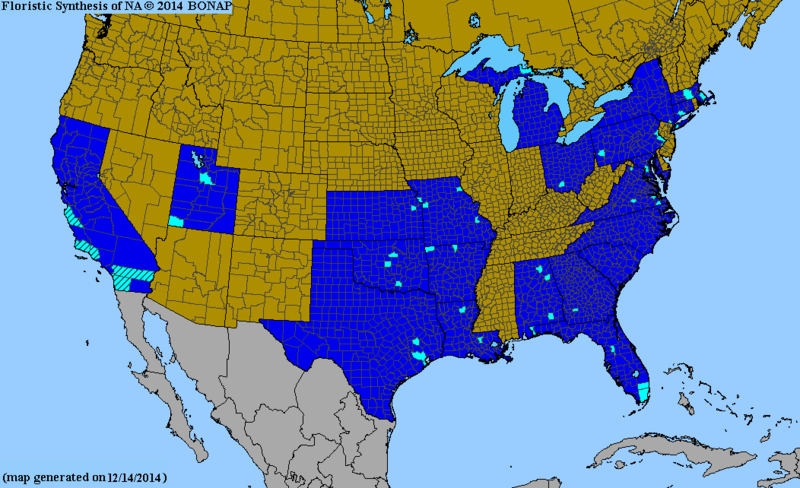 Type: MEXICO: Without data, Herb. 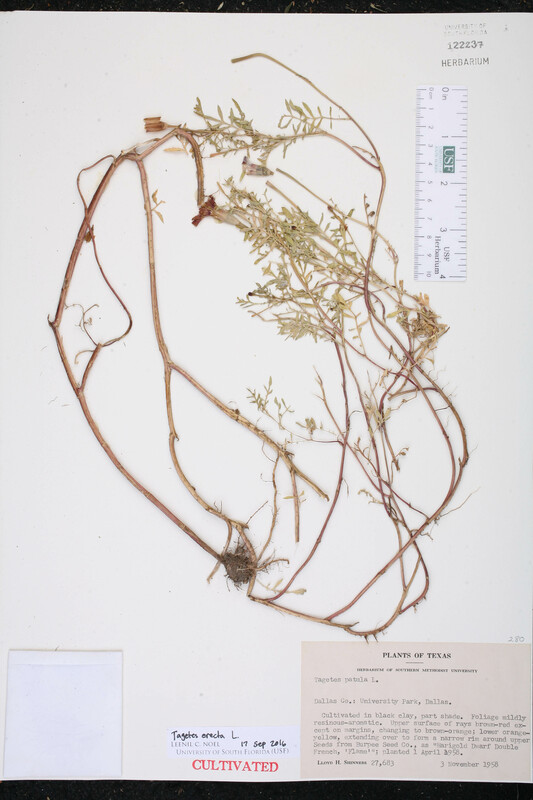 Linnaeus 1009.3 (lectotype: LINN). 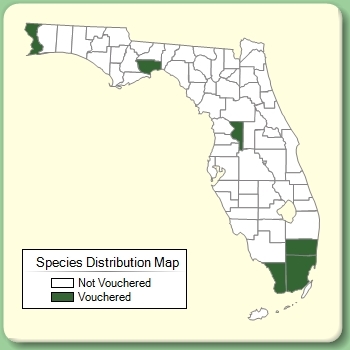 Lectotypified by R. A. Howard, Fl. Lesser Antill. 6: 601. 1989. 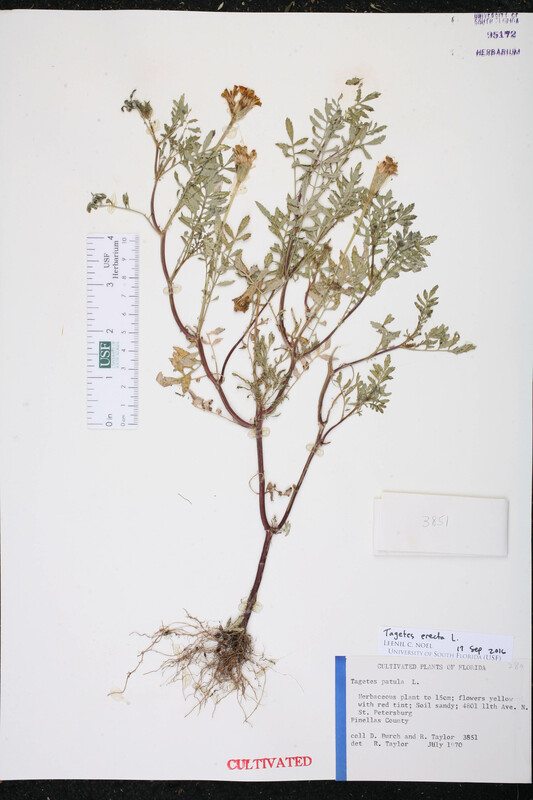 Tagetes major Tagetes major Gaertner, Fruct. Sem. Pl. 2: 437. 1791, nom. illegit. 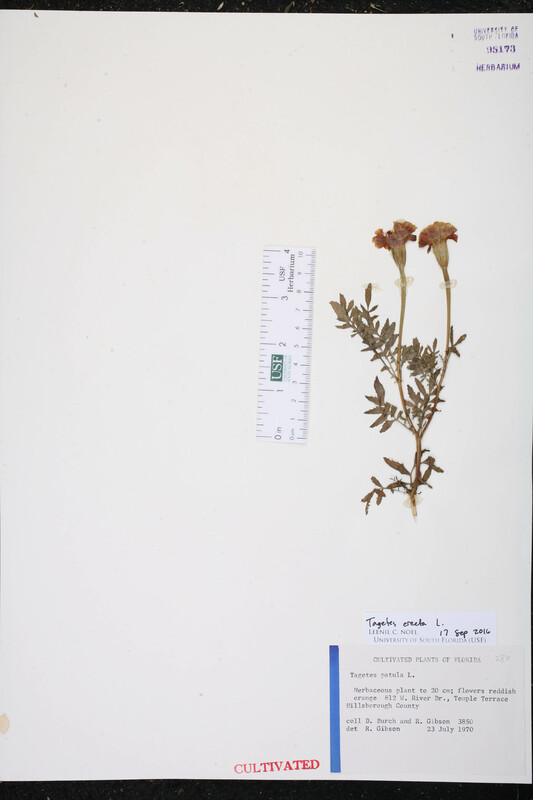 BASIONYM: Tagetes erecta Linnaeus 1753. 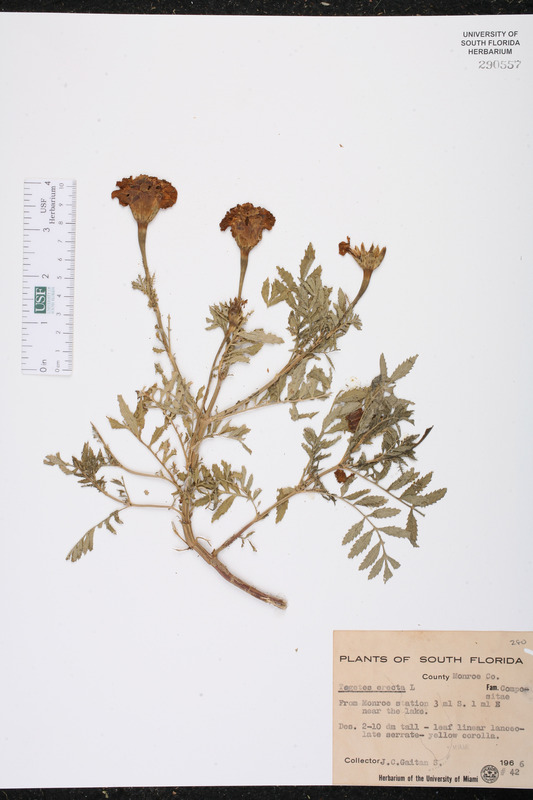 Tagetes patula Tagetes patula Linnaeus, Sp. Pl. 887. 1753. 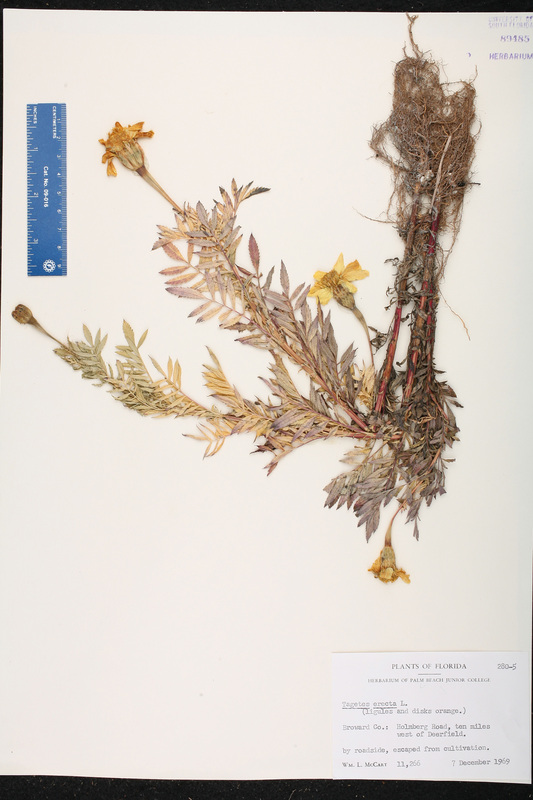 TYPE: MEXICO: Without data (lectotype: LINN 1009.1). Lectotypified by Hind, in C. E. Jarvis et al., Regnum Veg. 127: 92. 1993. 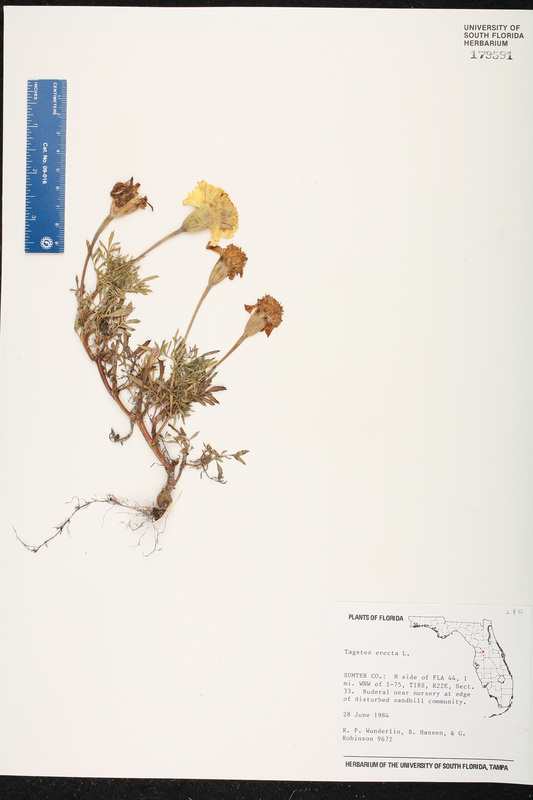 USA Florida Hillsborough Co. 23 Jul 1970 D. Burch 3850 CULTIVATED. USA Texas Dallas Co. 03 Nov 1958 L. H. Shinners 27683 CULTIVATED. 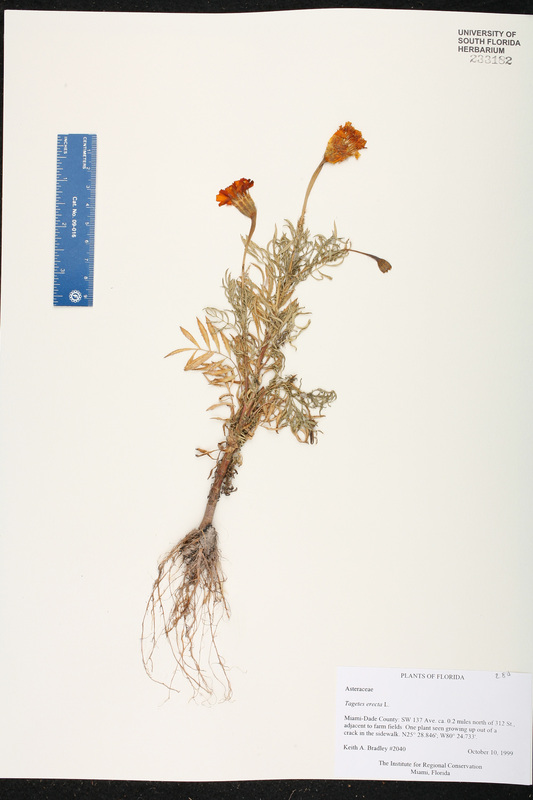 Seeds from Burpee Seed County, as "Marigold Dwarf Double French, 'Flame'"; planted 1 April 1958. USA Florida Pinellas Co. Jul 1970 D. Burch 3851 CULTIVATED. USA South Carolina Pickens Co. 22 Sep 1991 S. R. Hill 22636 CULTIVATED.